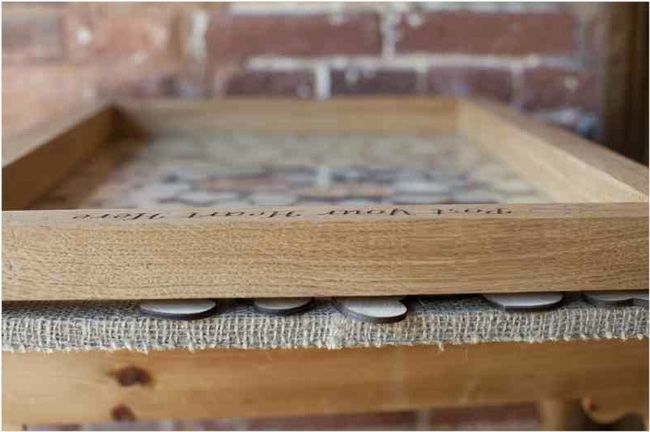 Want a guest book and gift in one? 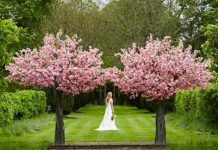 Try the Wedding Tree! 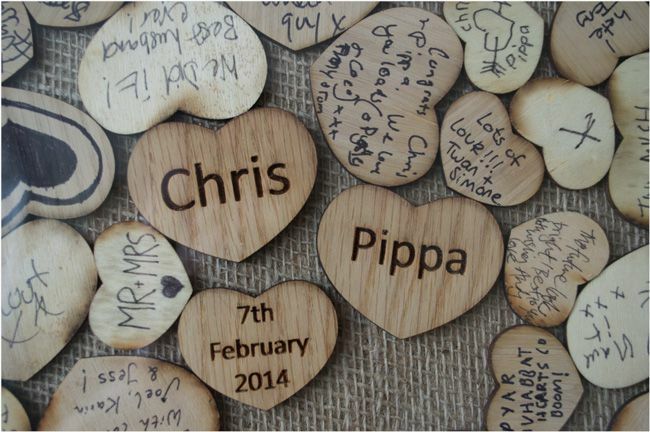 The creative bunch at The Wedding Tree have come up with a great range of alternative guest book ideas. There are guest book planks (ideal for a rustic wedding theme), entire guest book tables, birch wishing tree guest books and guest books made from tower of chunky oak blocks that fit together like a jigsaw puzzle! But our favourite idea has to be the drop top guest book. Inspired by the old-fashioned. two penny slot machines, these brilliant designs enable your guests to write a heartfelt message on a little wooden heart and slot it into the top of the box. Once posted, each heart tumbles to the bottom and as they stack up, you see a unique piece of art coming to life before your eyes! 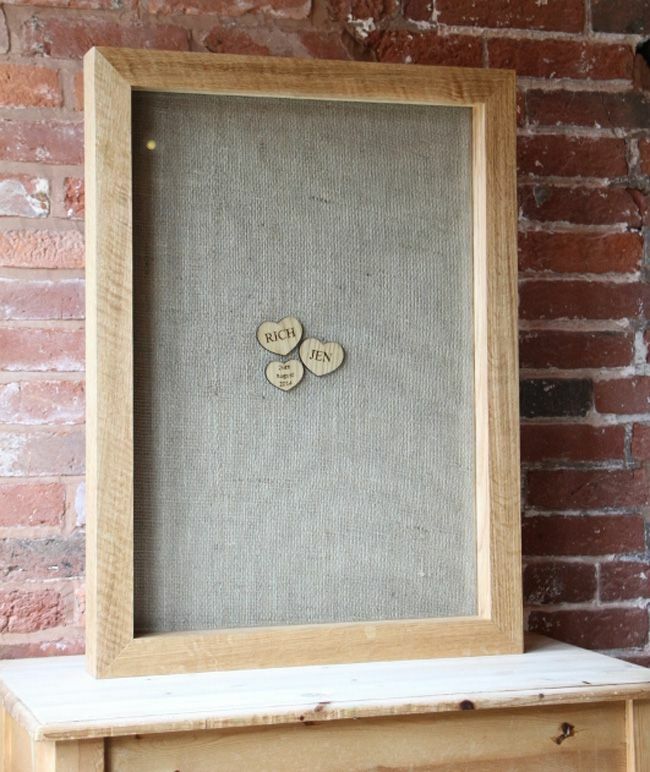 The name of the bride and groom and the wedding date are fixed on hearts in the centre of the display so everyone’s advice and messages will flow around you. And the good news is that after the big day, you can slide the glass out of the front of the design and replace or rearrange any messages that are upside down, back to front or perhaps a little too cheeky to display in your home. Reader offer – save £15! 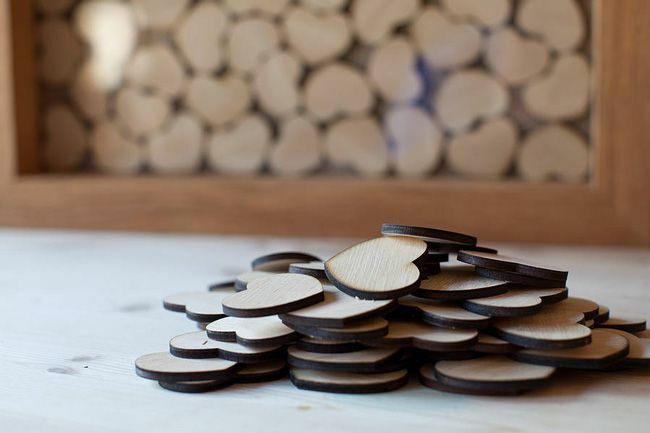 Following a fantastic response from real brides at this year’s National Wedding Shows, The Wedding Tree are now offering an exclusive £15 off the Drop Top and Oak Block designs when you enter the discount code NWS at the checkout here. Do you like this funky alternative guest book idea? We’ve got lots more right here. 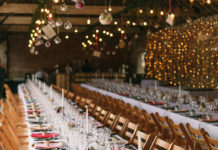 And if you want to see even more ways to entertain your guests, click here. 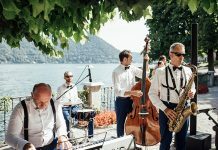 Next article28 inspiring wedding themes from our Facebook brides!